Thank you very much for everthing. Miss Despina and her sister are very helpful, kind. The appart is very calm and quiet. And so close to beach, to tavern and city center. Herşey çok iyidi. Denize yürüme mesafesinde. Market ve fırın da çok yakın. Evsahibi güleryüzlü ve misafirperver idi. Temiz, işletmeciler güleryüzlü ve misafirperver,, sessiz. 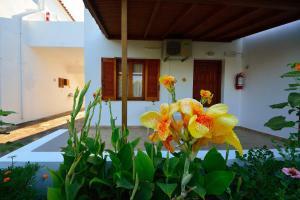 The accomodation is well located very close to beach, shops and restaurants. The area is very quiet, no noise. The owner´s family is very friendly, helpful (passing information about the surroundigs, ordering the taxi for tranfer to the airport) and attentive to guests´ needs. They speak well english. The studio was spacious, fully equiped, very clean. The balcony was large with nice view. The air-conditioner was powerful and silent, not disturbing during the sleep. Ubytování se nachází na dobrém místě, velmi blízko pláže, obchodů a restaurací. Oblast je velmi klidná, bez hluku. Rodina majitele je velmi přátelská, nápomocná (např. při poskytování informací o okolí nebo při zajištění taxi k odvozu na letiště) a pozorná k potřebám hostů. Mluví dobře anglicky. Pokoj byl prostorný, plně vybavený a velmi čistý. Balkon byl velký, s krásným výhledem. Klimatizace byla výkonná a tichá, vůbec nerušila spánek. Heel erg vriendelijke en lieve mensen, en willen het je vooral naar de zin maken. Twee keer verrast met een heerlijk zelfgemaakt traditioneel lekkernij. De locatie is heel prettig en rustig gelegen, ruime appartementen en er wordt ook zeer goed schoongemaakt! Een heel goede bakker om de hoek. Gestione familiare speciale, due ragazze eccezionali (Despina e Kiki) sempre a disposizione per informazioni sull'isola, su dove andare a mangiare, gentili e accoglienti, ogni paio di giorni ci lasciavano in camera buonissimi piatti greci fatti da loro ; classici studios, puliti e immersi in un bel giardino; posizione ottima, vicinissima alla spiaggia; a breve distanza dalle spiagge più belle e più tranquille dell'isola; rapporto qualità prezzo super-ottimo. Underbart familjärt boende där systrarna, deras mamma och morbrodern var så omtänksamma och snälla. Lägenheten var rymlig och mycket praktisk. Var också möjligt att låna en tvättmaskin för att tvätta upp sina kläder. Massor av fina olivträd, fruktträd (mandarin, persika, lime, citron, plommon, vindruvor) och vackra blommor. Så nära stranden! 100 meter till perfekta parasoll och solstolar med bästa restaurangen Angelos direkt i anslutning. Vi stannade i 14 dagar och kunde inte haft det bättre. 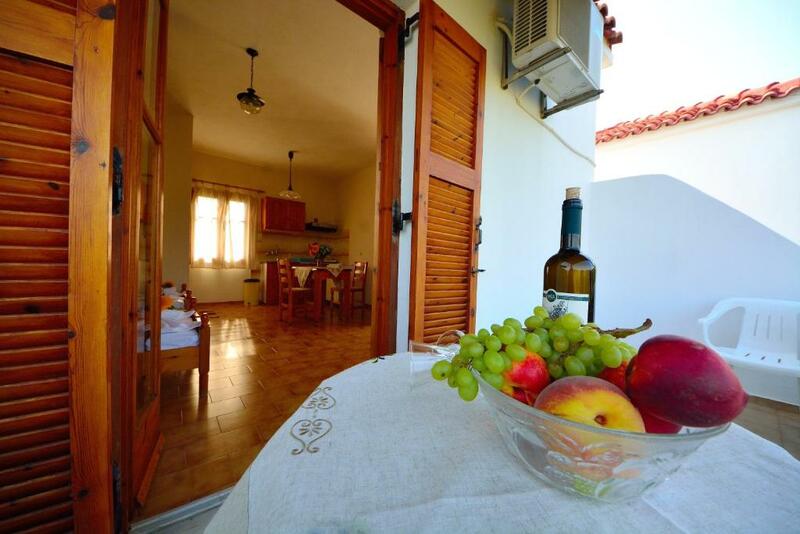 Lock in a great price for Studios Calvinos – rated 9.5 by recent guests! 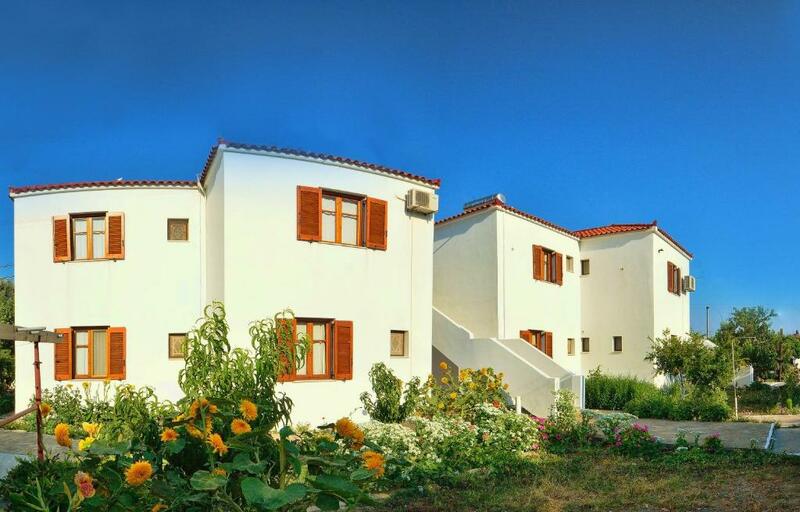 Only 350 feet from the nearest sandy beach, Calvinos Studios offers self-catering accommodations in the center of Marathokampos, on the island of Samos. 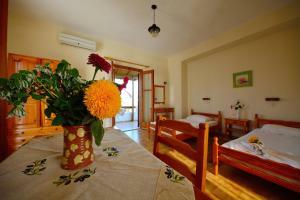 The studios and apartments are air-conditioned and can be located on two floors. Featuring a furnished balcony, fully equipped kitchenette with dining table and bathroom with shower. Guests can enjoy views of the sea and the garden. Other facilities like luggage storage and free parking are offered on site. 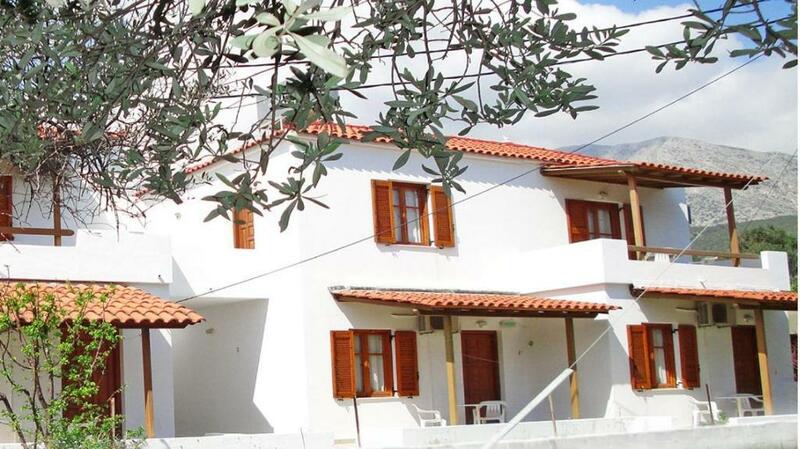 Calvinos Studios is set at the feet of mountain Kerkis and less than 350 feet from Votsalakia Beach. 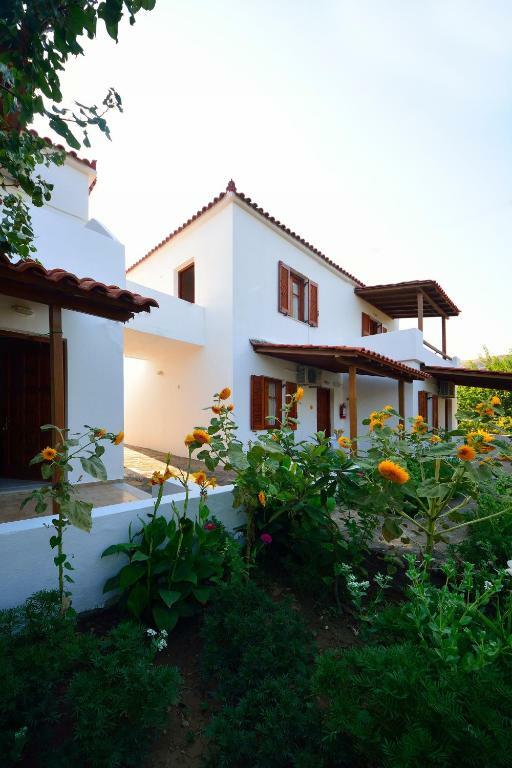 It is surrounded by olive groves and traditional gardens with views both the sea and the unique mountain landscape of Samos. When would you like to stay at Studios Calvinos? This air-conditioned studio comes with 2 single beds. The studio located on the ground floor features a private garden. The one located on the 1st floor features furnished balcony with partial sea view. All studios come with a fully equipped kitchenette and dining table. The bathroom comes with a shower. Please note that there is no possibility to add an extra bed in this studio. This air-conditioned apartment has 3 single beds. The apartment located on the ground floor features a private garden. 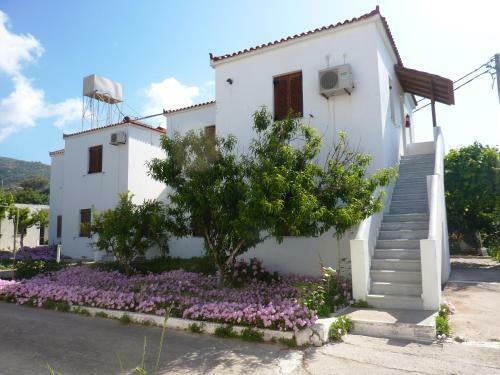 The one located on the 1st floor features furnished balcony with partial sea view. All apartments come with a fully equipped kitchenette and dining table. The bathroom comes with a shower. Please note that this room type can accommodate a baby cot or extra bed upon request and an extra charge. This air-conditioned two-bedroom apartment is located on one level and has 4 single beds. 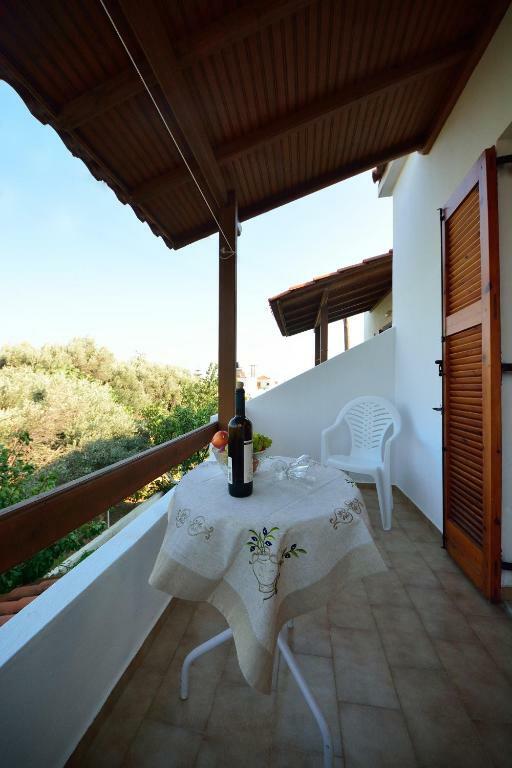 It offers balcony furniture, a fully equipped kitchenette and dining table. The bathroom comes with a shower. House Rules Studios Calvinos takes special requests – add in the next step! Studios Calvinos accepts these cards and reserves the right to temporarily hold an amount prior to arrival. Please inform Studios Calvinos of your expected arrival time in advance. You can use the Special Requests box when booking, or contact the property directly using the contact details in your confirmation.